The Illustration Work of Louise Byng as seen from Earth. : Love At First Sight. 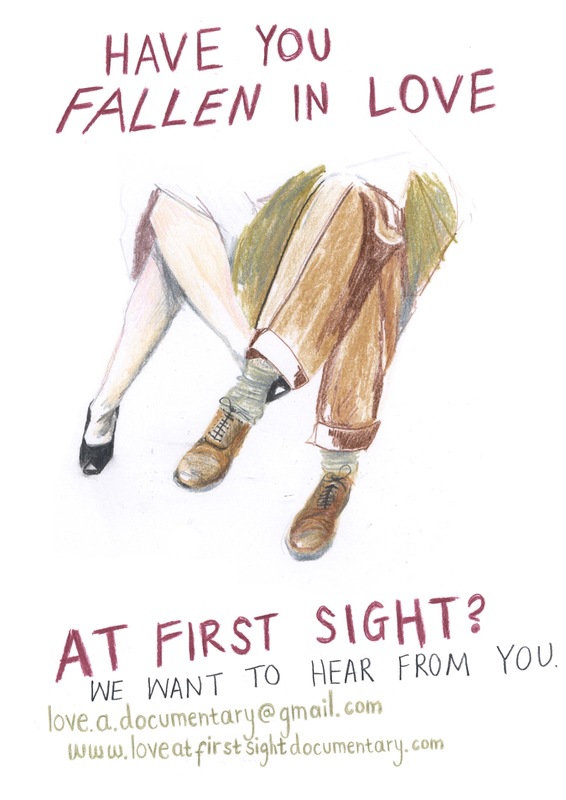 Yesterday I fashioned a little poster for grad film Love At First Sight: A Romantic Documentary. A call to all those serendipitous lovers out there, the drawing is based on Stanley Kubrick's Life & Love on the New York City Subway, one of my favourite photosets of all time. Can't say I blame the broad in this image; who could resist those charming leg cuffs? You too can support the film in lots of different ways here.